They say that those little blueberries are fantastic for you and they also say that you are what you eat. 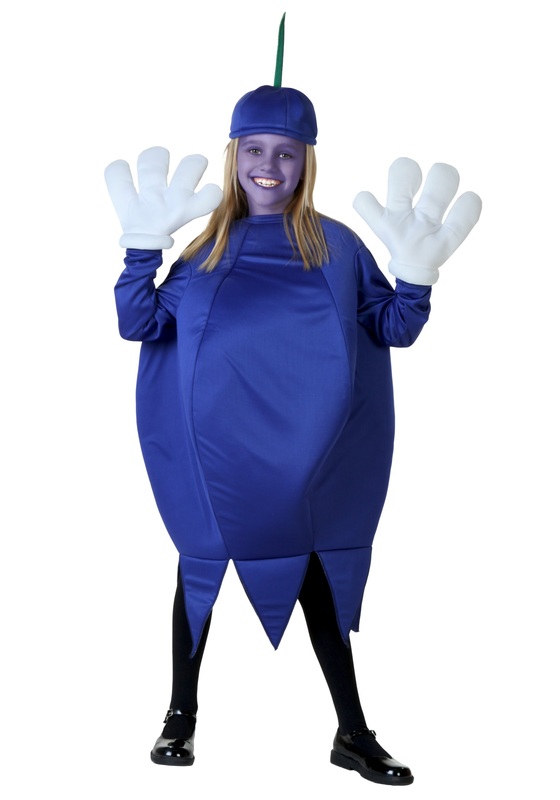 Well this poor kid may have eaten a few too many blueberries then. At least she's incredibly healthy and full of antioxidants! We've also heard that blue is a very sad color too. (We hear a lot of things apparently.) We say no way to that! It's an awesome color! Look at all the things that are blue! The ocean, everybody wants to see a blue moon (Okay that's not actually blue) the sky is a gorgeous blue and just think how lame a fruit bowl would be without at least a few beautiful blueberries. Blue is definitely a happy color. Not to mention blueberry muffins are about the most iconic muffins ever invented.